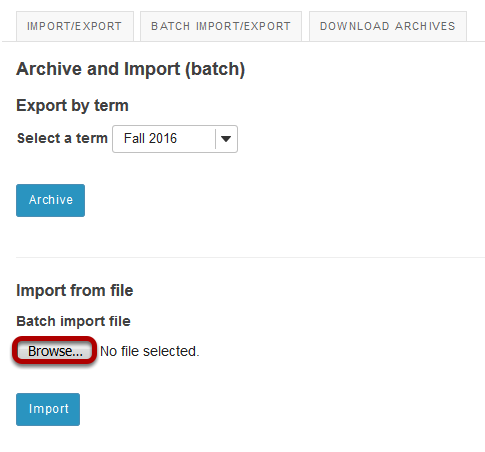 Sakai Community DocumentationSakai 11 - EnglishSakai 11 Administrator Guide Site ArchiveHow do I batch import multiple site archives? 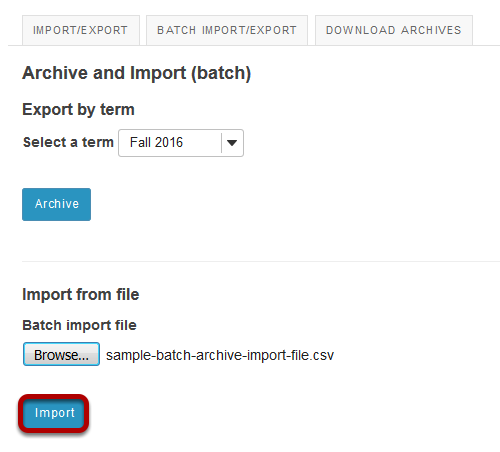 Click Browse to locate your batch import file. 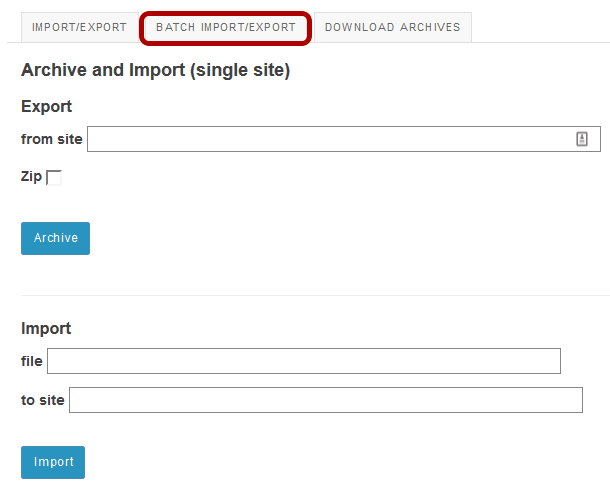 Once you have selected the batch import file, click Import. Your import file should list the target site id followed by a comma and then the archive id in the siteid-archive format, one archive per line. Prev: How do I import an individual site archive? Next: What is the Sites tool?